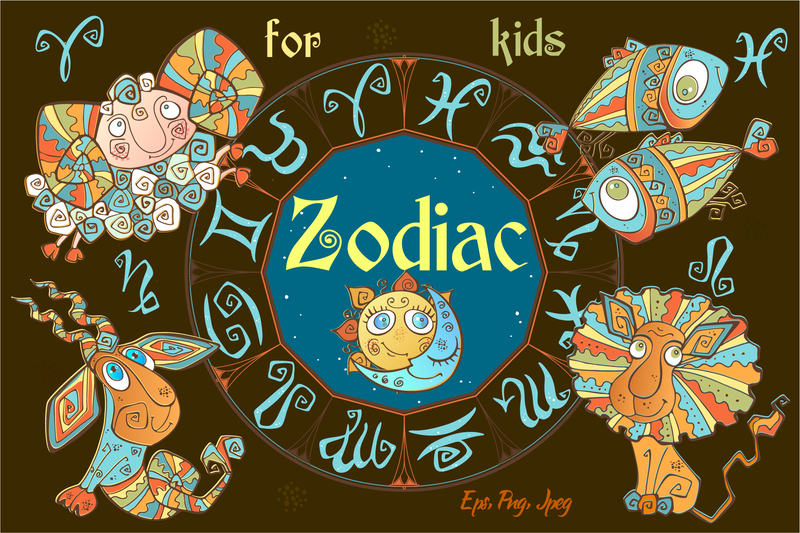 Zodiac signs for children. 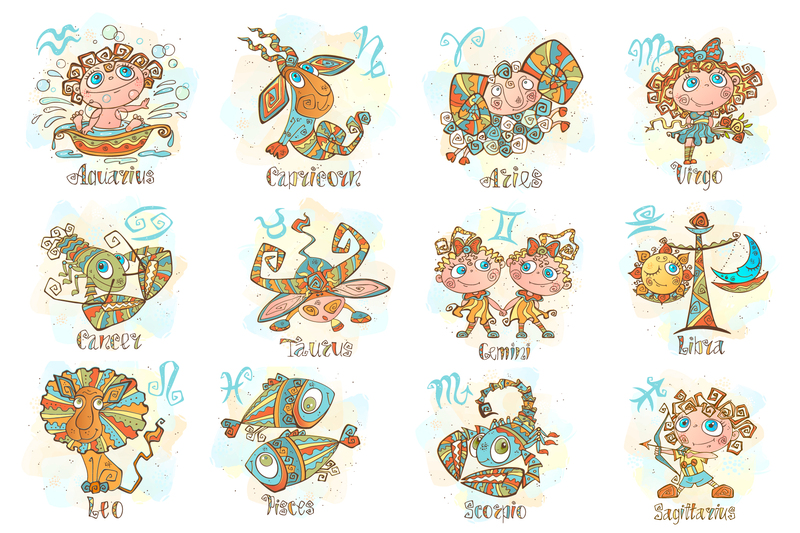 Funny horoscope in a cute style. 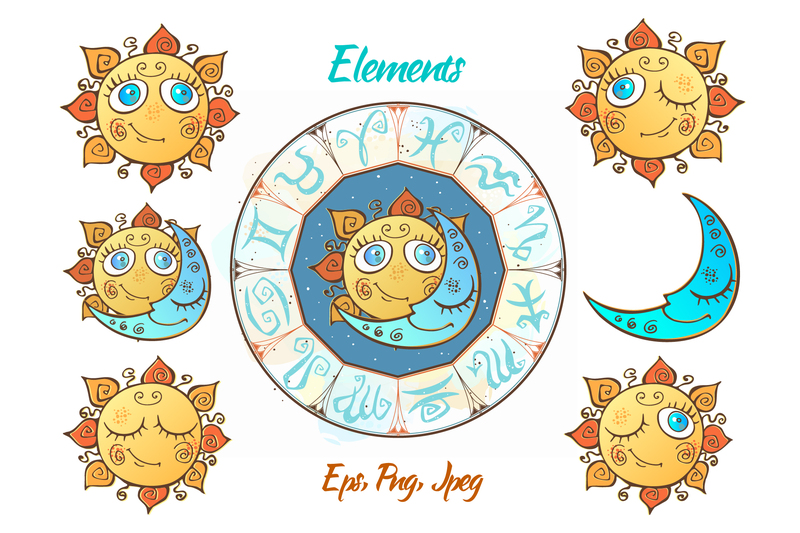 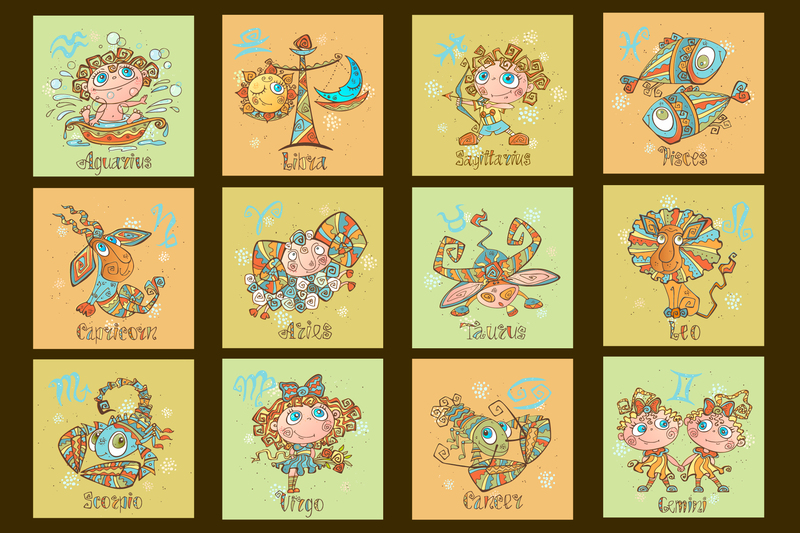 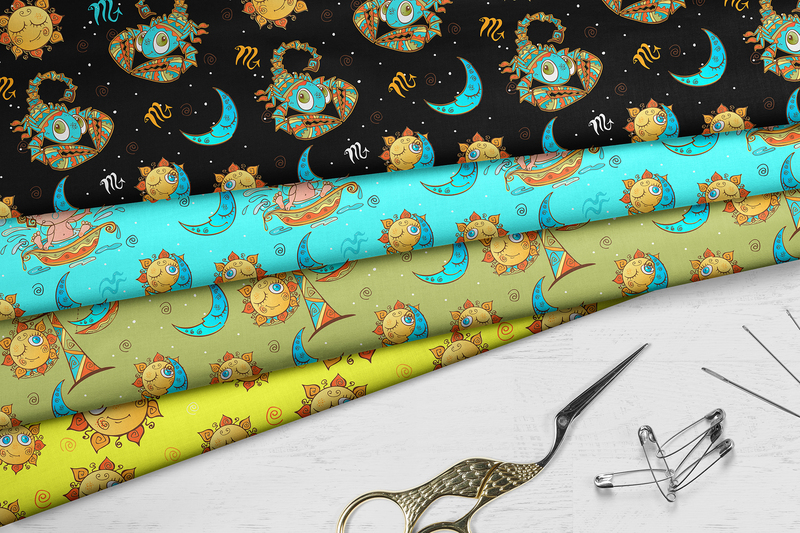 Zodiac sign set for kids in cute style. 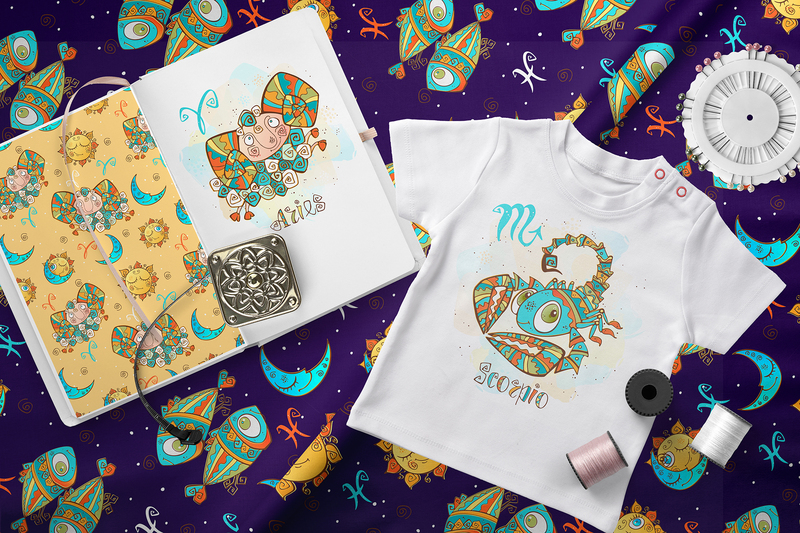 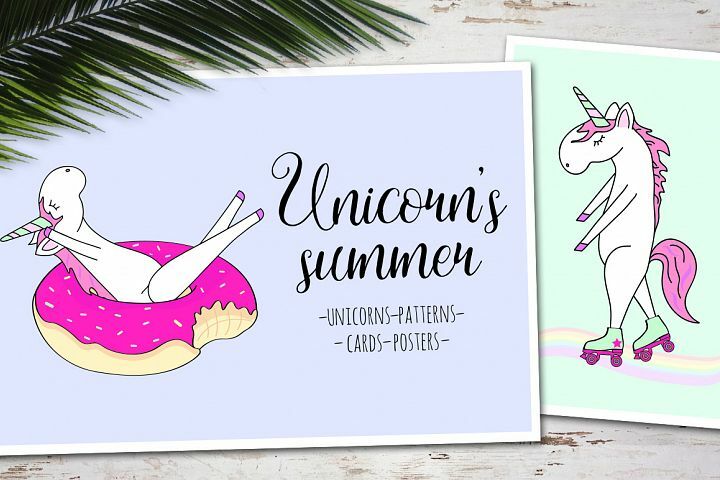 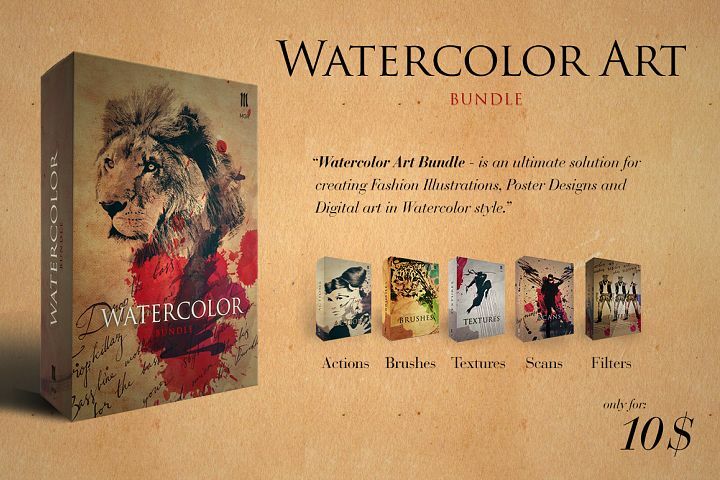 You can decorate children's clothes, dishes, backpacks and much more with illustrations. 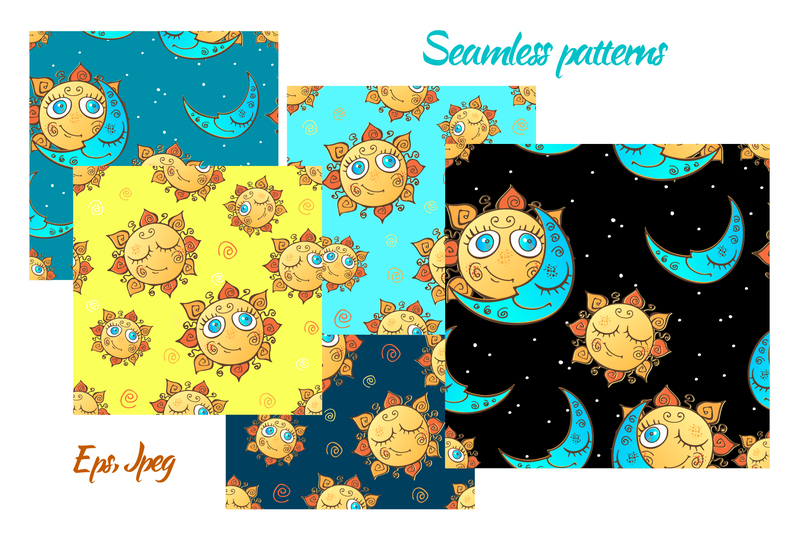 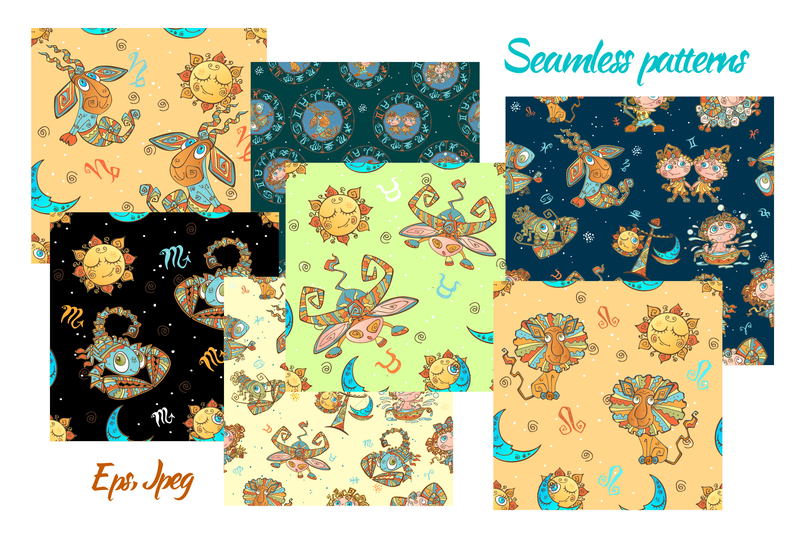 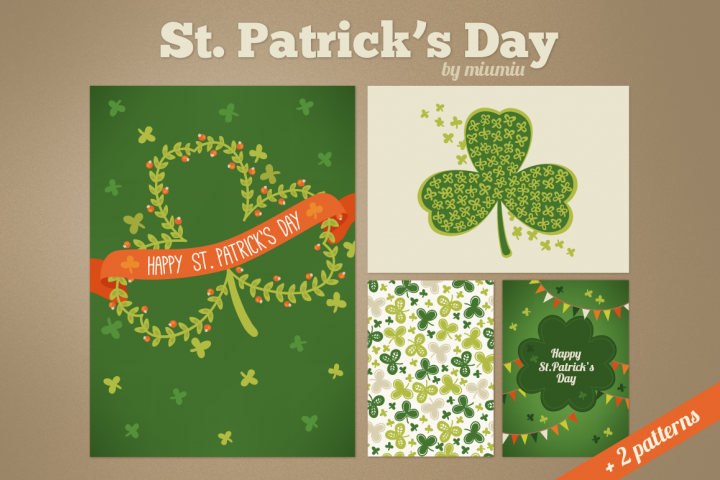 There is also a large selection of seamless patterns! 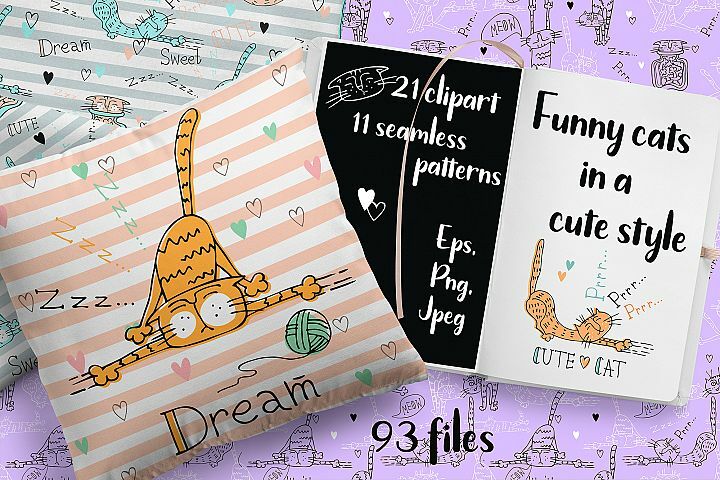 -Total number of individual file elements. 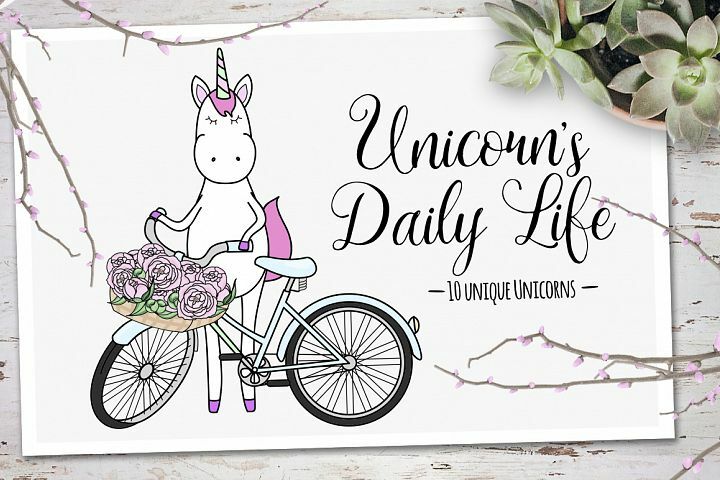 -76 ( Eps, Jpeg) + 31 (PNG file on transparent background). 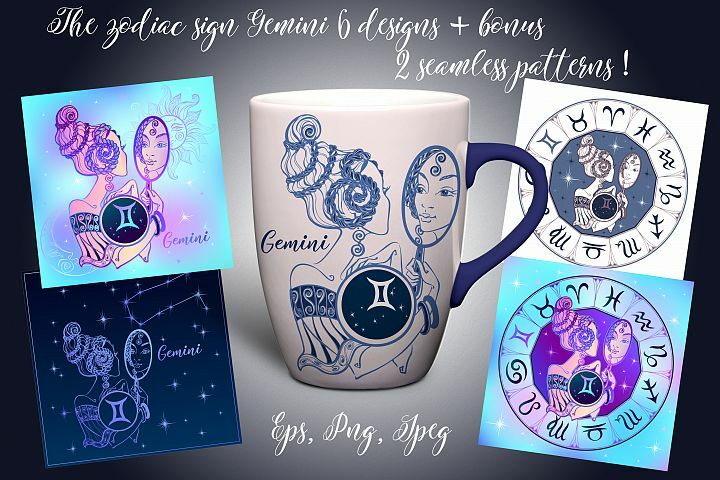 Gemini zodiac sign. 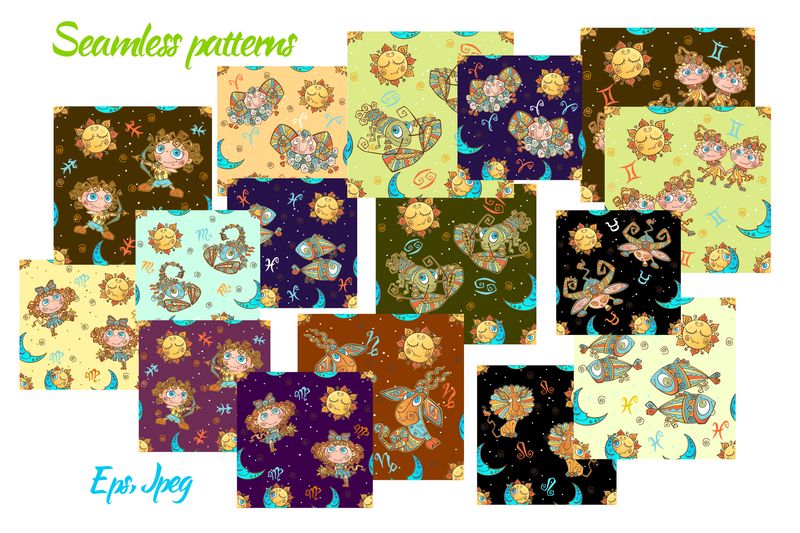 Female image. 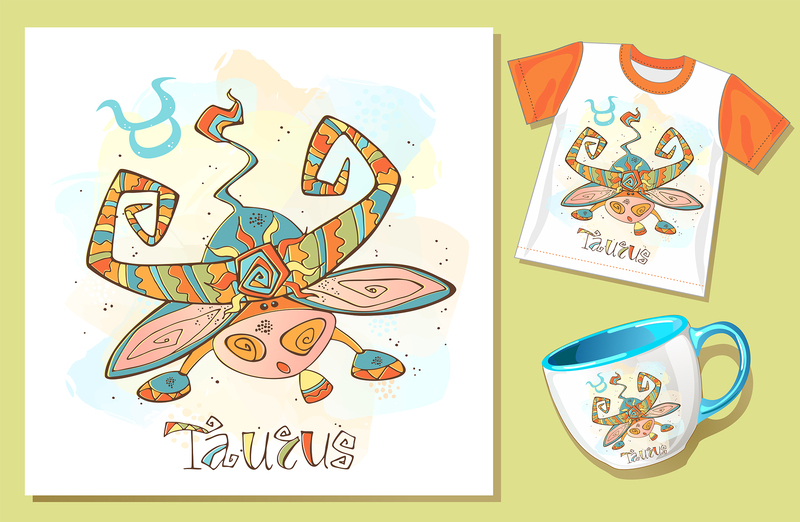 Taurus zodiac sign. 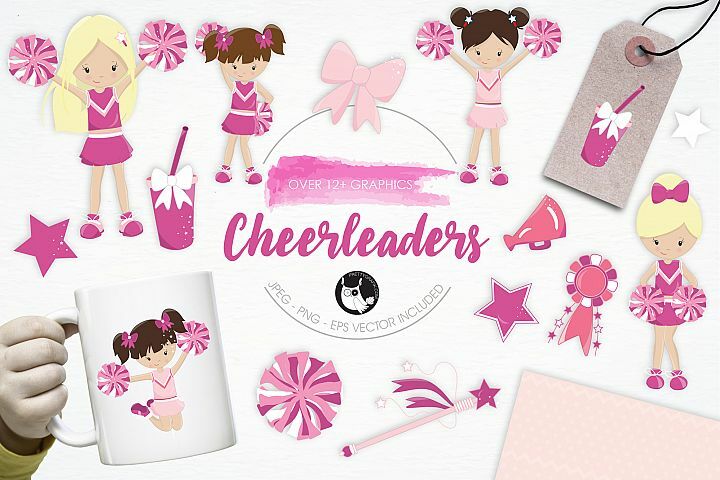 Female image. 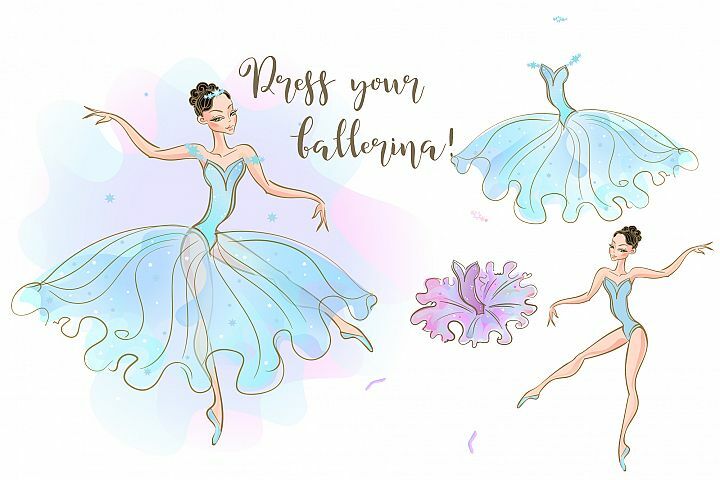 Ballerina doll with a set of dresses. Taurus zodiac sign. 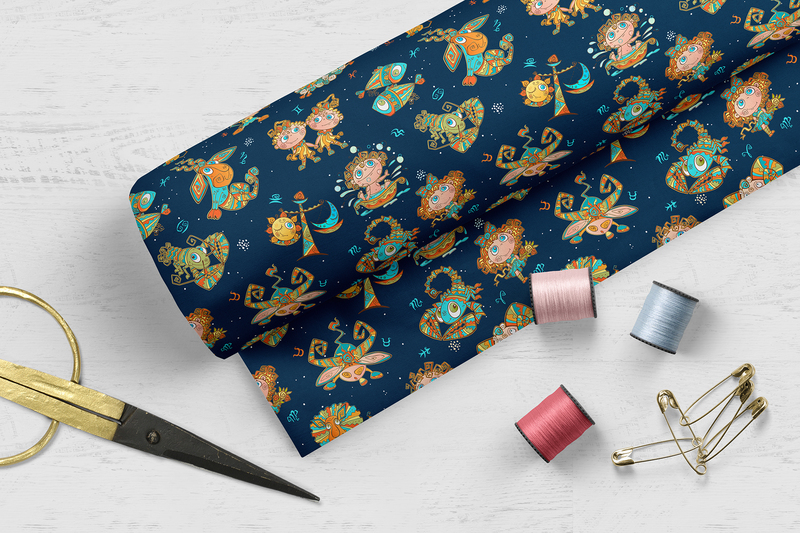 For children. Zodiac. 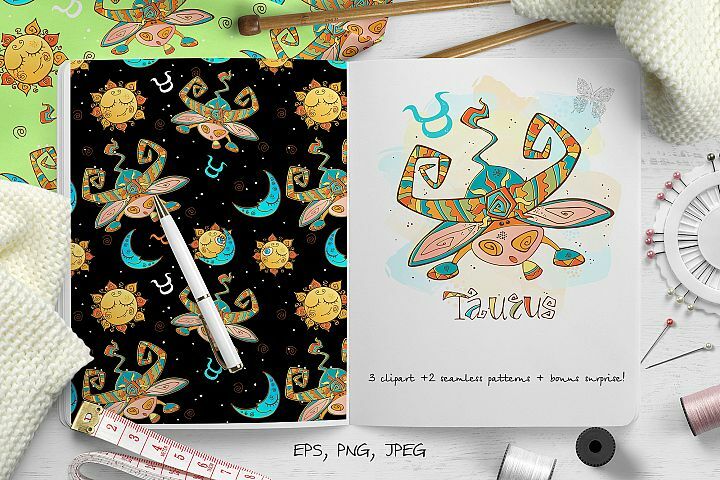 Neon clip art collection. 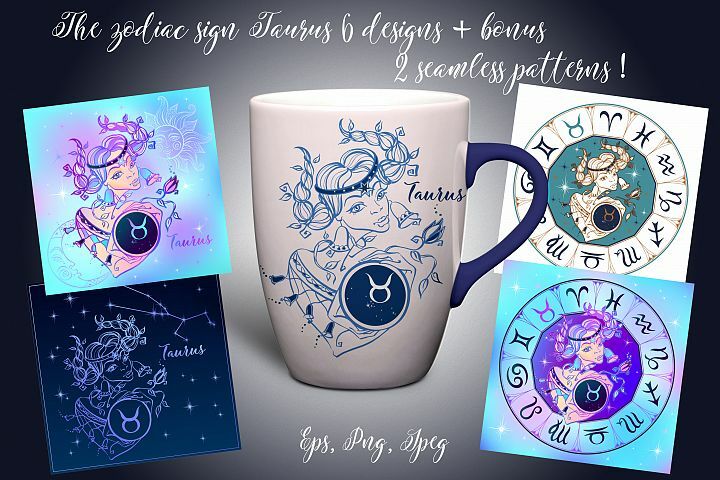 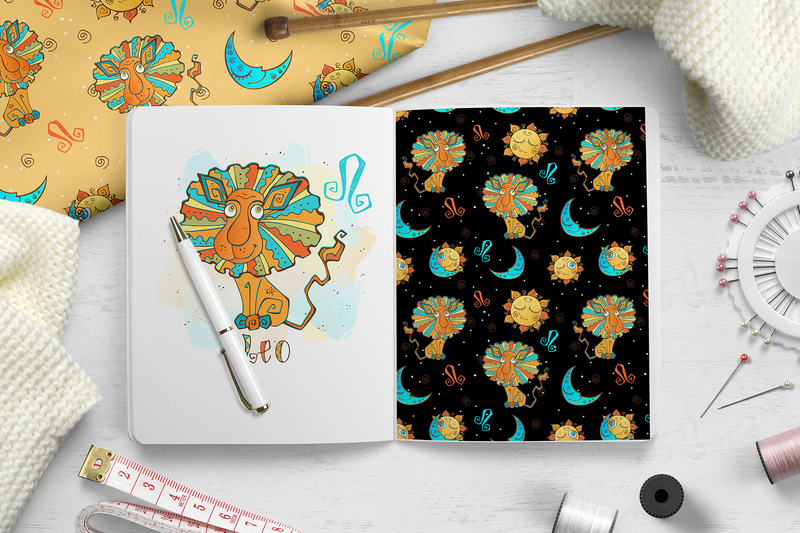 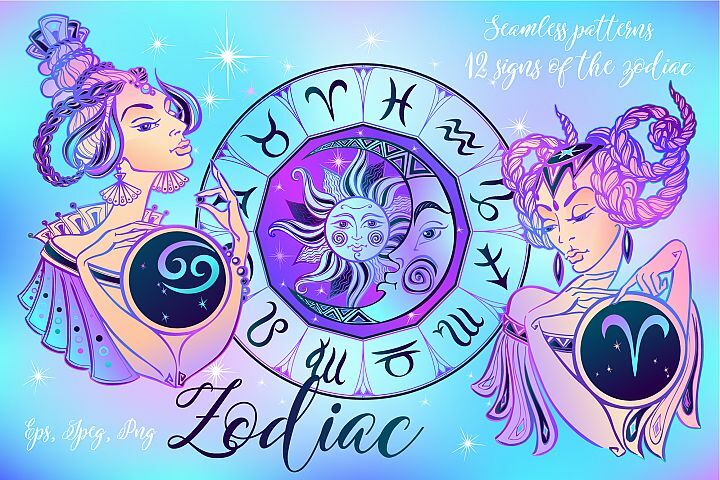 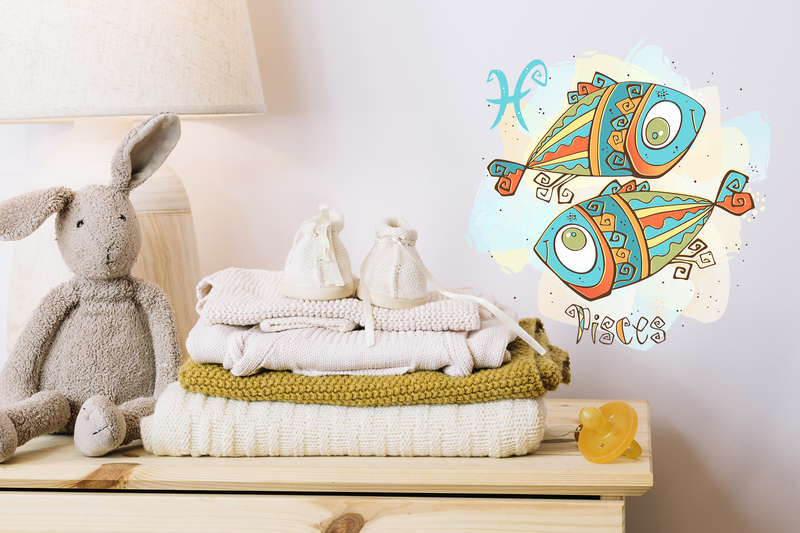 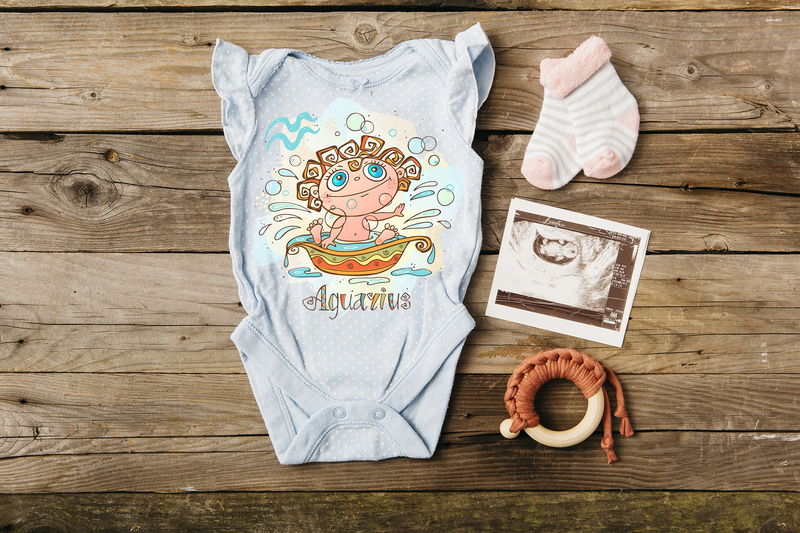 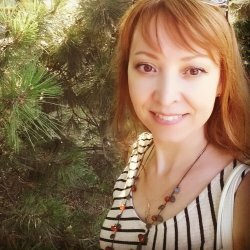 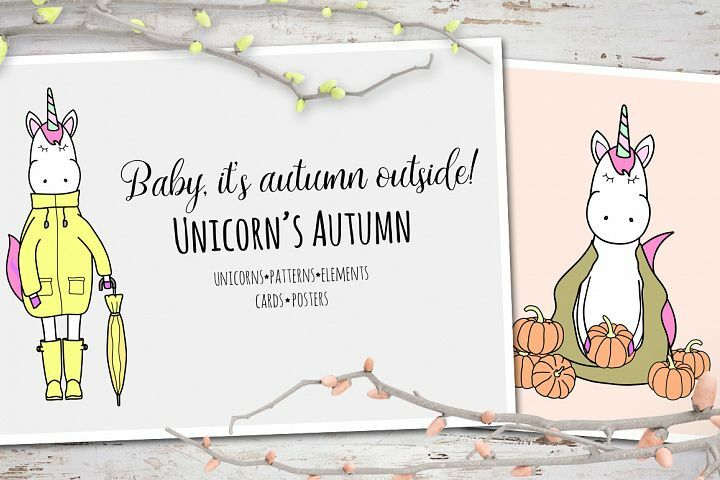 Similar Design Products to Zodiac signs for children. 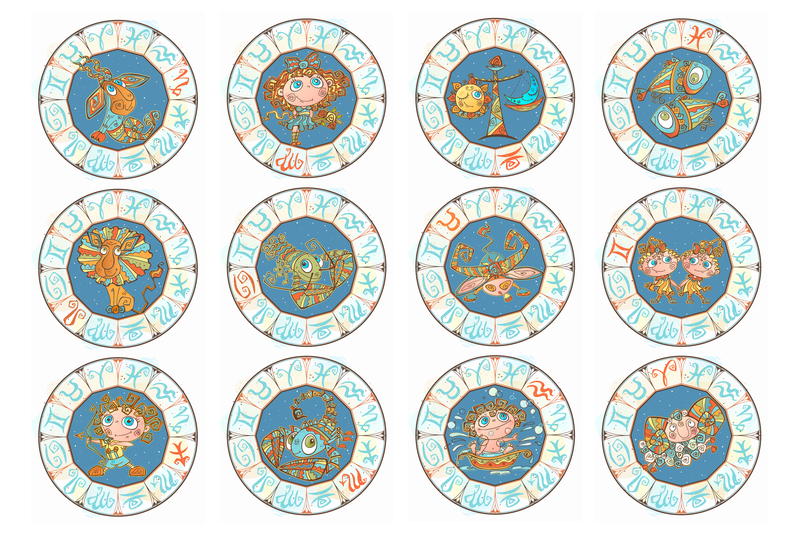 Funny horoscope in a cute style.